We offer dry milk boxes with custom design and branding. We can ship within 72 hours on approval of design proof. 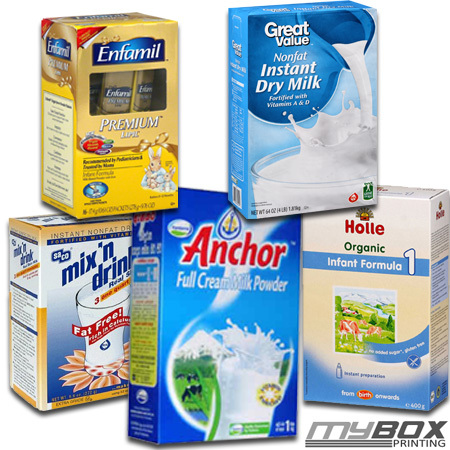 Whatever your specification, designs, materials, colours and printing styles are, My Box Printing can help you with great printing experience along with best prices for dry milk packaging boxes and relevant packaging solution in Europe. We strive to fulfill highest level of health and safety along with total quality productivity for boxes to assure you receive best customer reviews about the product packaging. For immediate quotation or delivery kindly fill our Quote now form or contact us. We ordered thick cardboard tear away boxes for our custom designed dry milk and related food packaging boxes. The quality of food safe packaging boxes was exceptional in UK. all comes as flat and price was good.